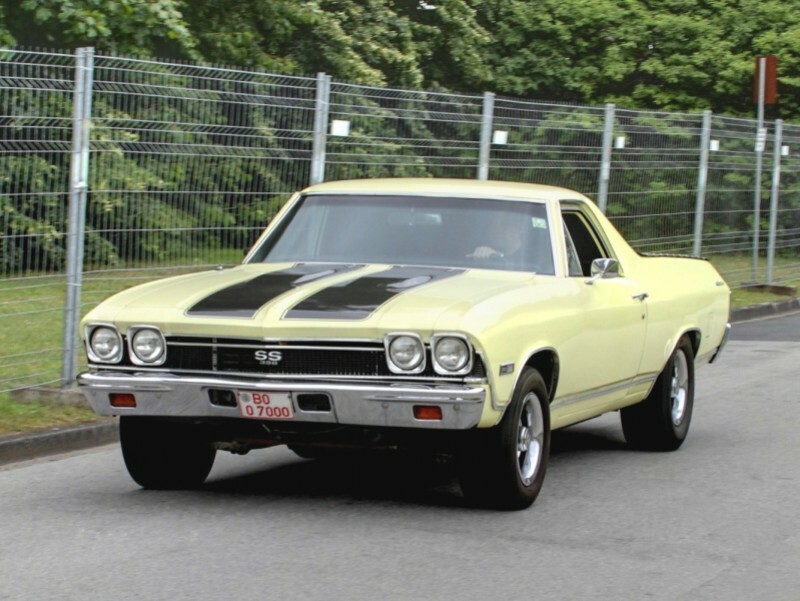 Chevrolet El Camino - модельный ряд, комплектации, подробные технические характеристики по годам выпуска как новых, так и автомобилей с пробегом. Chevrolet El Camino 3.2 Powerglide 2AT Pickup 2AT 120 л.с. 1964 г. 1964 г.
Chevrolet El Camino 3.2 Powerglide 2AT Pickup 2AT 120 л.с. 1965 г. 1965 г.
Chevrolet El Camino 3.2 Powerglide 2AT Pickup 2AT 120 л.с. 1966 г. 1966 г.
Chevrolet El Camino 3.2 Synchromesh 3MT Pickup 3MT 120 л.с. 1964 г. 1964 г.
Chevrolet El Camino 3.2 Synchromesh 3MT Pickup 3MT 120 л.с. 1965 г. 1965 г.
Chevrolet El Camino 3.2 Synchromesh 3MT Pickup 3MT 120 л.с. 1966 г. 1966 г.
Chevrolet El Camino 3.2 Synchromesh Overdrive 4MT Pickup 4MT 120 л.с. 1964 г. 1964 г.
Chevrolet El Camino 3.2 Synchromesh Overdrive 4MT Pickup 4MT 120 л.с. 1965 г. 1965 г.
Chevrolet El Camino 3.2 Synchromesh Overdrive 4MT Pickup 4MT 120 л.с. 1966 г. 1966 г.
Chevrolet El Camino 3.3 AT 3AT Pickup 3AT 95 л.с. 1978 г. 1978 г.
Chevrolet El Camino 3.3 AT 3AT Pickup 3AT 94 л.с. 1979 г. 1979 г.
Chevrolet El Camino 3.3 MT 3MT Pickup 3MT 95 л.с. 1978 г. 1978 г.
Chevrolet El Camino 3.3 MT 3MT Pickup 3MT 94 л.с. 1979 г. 1979 г.
Chevrolet El Camino 3.8 AT 3AT Pickup 3AT 105 л.с. 1978 г. 1978 г.
Chevrolet El Camino 3.8 AT 3AT Pickup 3AT 115 л.с. 1979 г. 1979 г.
Chevrolet El Camino 3.8 AT 3AT Pickup 3AT 110 л.с. 1980 г. 1980 г.
Chevrolet El Camino 3.8 AT 3AT Pickup 3AT 115 л.с. 1980 г. 1980 г.
Chevrolet El Camino 3.8 AT 3AT Pickup 3AT 110 л.с. 1981 г. 1981 г.
Chevrolet El Camino 3.8 AT 3AT Pickup 3AT 110 л.с. 1982 г. 1982 г.
Chevrolet El Camino 3.8 AT 3AT Pickup 3AT 110 л.с. 1983 г. 1984 г.
Chevrolet El Camino 3.8 AT California 3AT Pickup 3AT 110 л.с. 1981 г. 1981 г.
Chevrolet El Camino 3.8 AT California 3AT Pickup 3AT 110 л.с. 1982 г. 1985 г.
Chevrolet El Camino 3.8 MT 3MT Pickup 3MT 115 л.с. 1980 г. 1980 г.
Chevrolet El Camino 3.8 MT 3MT Pickup 3MT 110 л.с. 1981 г. 1981 г.
Chevrolet El Camino 3.8 Powerglide 2AT Pickup 2AT 155 л.с. 1964 г. 1964 г.
Chevrolet El Camino 3.8 Powerglide 2AT Pickup 2AT 125 л.с. 1965 г. 1965 г.
Chevrolet El Camino 3.8 Powerglide 2AT Pickup 2AT 140 л.с. 1965 г. 1965 г.
Chevrolet El Camino 3.8 Powerglide 2AT Pickup 2AT 140 л.с. 1966 г. 1966 г.
Chevrolet El Camino 3.8 Powerglide 2AT Pickup 2AT 140 л.с. 1967 г. 1967 г.
Chevrolet El Camino 3.8 Powerglide 2AT Pickup 2AT 140 л.с. 1968 г. 1968 г.
Chevrolet El Camino 3.8 Powerglide 2AT Pickup 2AT 140 л.с. 1969 г. 1969 г.
Chevrolet El Camino 3.8 Synchromesh 3MT Pickup 3MT 155 л.с. 1964 г. 1964 г.
Chevrolet El Camino 3.8 Synchromesh 3MT Pickup 3MT 125 л.с. 1965 г. 1965 г.
Chevrolet El Camino 3.8 Synchromesh 3MT Pickup 3MT 140 л.с. 1965 г. 1965 г.
Chevrolet El Camino 3.8 Synchromesh 3MT Pickup 3MT 140 л.с. 1966 г. 1966 г.
Chevrolet El Camino 3.8 Synchromesh 3MT Pickup 3MT 140 л.с. 1967 г. 1967 г.
Chevrolet El Camino 3.8 Synchromesh 3MT Pickup 3MT 140 л.с. 1968 г. 1968 г.
Chevrolet El Camino 3.8 Synchromesh 3MT Pickup 3MT 140 л.с. 1969 г. 1969 г.
Chevrolet El Camino 3.8 Synchromesh Overdrive 4MT Pickup 4MT 155 л.с. 1964 г. 1964 г.
Chevrolet El Camino 3.8 Synchromesh Overdrive 4MT Pickup 4MT 125 л.с. 1965 г. 1965 г.
Chevrolet El Camino 3.8 Synchromesh Overdrive 4MT Pickup 4MT 140 л.с. 1965 г. 1965 г.
Chevrolet El Camino 3.8 Synchromesh Overdrive 4MT Pickup 4MT 140 л.с. 1966 г. 1966 г.
Chevrolet El Camino 3.8 Synchromesh Overdrive 4MT Pickup 4MT 140 л.с. 1967 г. 1967 г.
Chevrolet El Camino 3.8 Synchromesh Overdrive 4MT Pickup 4MT 140 л.с. 1968 г. 1968 г.
Chevrolet El Camino 3.8 Turbo Hydra-Matic 3AT Pickup 3AT 140 л.с. 1969 г. 1969 г.
Chevrolet El Camino 3.9 Powerglide 4400 2AT Pickup 2AT 135 л.с. 1959 г. 1959 г.
Chevrolet El Camino 3.9 Powerglide 4400 2AT Pickup 2AT 135 л.с. 1960 г. 1960 г.
Chevrolet El Camino 3.9 Synchromesh 4400 3MT Pickup 3MT 135 л.с. 1959 г. 1959 г.
Chevrolet El Camino 3.9 Synchromesh 4400 3MT Pickup 3MT 110 л.с. 1960 г. 1960 г.
Chevrolet El Camino 3.9 Synchromesh 4400 3MT Pickup 3MT 135 л.с. 1960 г. 1960 г.
Chevrolet El Camino 3.9 Synchromesh Overdrive 4400 4MT Pickup 4MT 135 л.с. 1959 г. 1959 г.
Chevrolet El Camino 3.9 Synchromesh Overdrive 4400 4MT Pickup 4MT 110 л.с. 1960 г. 1960 г.
Chevrolet El Camino 3.9 Synchromesh Overdrive 4400 4MT Pickup 4MT 135 л.с. 1960 г. 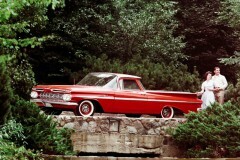 1960 г.
Chevrolet El Camino 4.1 MT 3MT Pickup 3MT 110 л.с. 1972 г. 1972 г.
Chevrolet El Camino 4.1 MT 3MT Pickup 3MT 105 л.с. 1976 г. 1976 г.
Chevrolet El Camino 4.1 MT 3MT Pickup 3MT 110 л.с. 1977 г. 1977 г.
Chevrolet El Camino 4.1 MT 3MT Pickup 3MT 90 л.с. 1977 г. 1977 г.
Chevrolet El Camino 4.1 Powerglide 2AT Pickup 2AT 155 л.с. 1967 г. 1967 г.
Chevrolet El Camino 4.1 Powerglide 2AT Pickup 2AT 155 л.с. 1968 г. 1968 г.
Chevrolet El Camino 4.1 Powerglide 2AT Pickup 2AT 155 л.с. 1969 г. 1969 г.
Chevrolet El Camino 4.1 Powerglide 2AT Pickup 2AT 155 л.с. 1970 г. 1970 г.
Chevrolet El Camino 4.1 Powerglide 2AT Pickup 2AT 145 л.с. 1971 г. 1971 г.
Chevrolet El Camino 4.1 Powerglide 2AT Pickup 2AT 110 л.с. 1972 г. 1972 г.
Chevrolet El Camino 4.1 Synchromesh 3MT Pickup 3MT 155 л.с. 1967 г. 1967 г.
Chevrolet El Camino 4.1 Synchromesh 3MT Pickup 3MT 155 л.с. 1968 г. 1968 г.
Chevrolet El Camino 4.1 Synchromesh 3MT Pickup 3MT 155 л.с. 1969 г. 1969 г.
Chevrolet El Camino 4.1 Synchromesh 3MT Pickup 3MT 155 л.с. 1970 г. 1970 г.
Chevrolet El Camino 4.1 Synchromesh 3MT Pickup 3MT 145 л.с. 1971 г. 1971 г.
Chevrolet El Camino 4.1 Synchromesh Overdrive 4MT Pickup 4MT 155 л.с. 1967 г. 1967 г.
Chevrolet El Camino 4.1 Synchromesh Overdrive 4MT Pickup 4MT 155 л.с. 1968 г. 1968 г.
Chevrolet El Camino 4.1 Turbo Hydra-Matic 3AT Pickup 3AT 155 л.с. 1969 г. 1969 г.
Chevrolet El Camino 4.1 Turbo Hydra-Matic 3AT Pickup 3AT 155 л.с. 1970 г. 1970 г.
Chevrolet El Camino 4.1 Turbo Hydra-Matic 3AT Pickup 3AT 105 л.с. 1976 г. 1976 г.
Chevrolet El Camino 4.1 Turbo Hydra-Matic 3AT Pickup 3AT 110 л.с. 1977 г. 1977 г.
Chevrolet El Camino 4.1 Turbo Hydra-Matic 3AT Pickup 3AT 90 л.с. 1977 г. 1977 г.
Chevrolet El Camino 4.3 AT 3AT Pickup 3AT 130 л.с. 1985 г. 1986 г.
Chevrolet El Camino 4.3 AT 3AT Pickup 3AT 145 л.с. 1987 г. 1987 г.
Chevrolet El Camino 4.4 AT 3AT Pickup 3AT 125 л.с. 1979 г. 1979 г.
Chevrolet El Camino 4.4 AT 3AT Pickup 3AT 120 л.с. 1980 г. 1980 г.
Chevrolet El Camino 4.4 AT 3AT Pickup 3AT 115 л.с. 1981 г. 1981 г.
Chevrolet El Camino 4.4 AT 3AT Pickup 3AT 115 л.с. 1982 г. 1982 г.
Chevrolet El Camino 4.4 MT 4MT Pickup 4MT 125 л.с. 1979 г. 1979 г.
Chevrolet El Camino 4.6 3Synchromesh 3MT Pickup 3MT 195 л.с. 1964 г. 1964 г.
Chevrolet El Camino 4.6 3Synchromesh 3MT Pickup 3MT 220 л.с. 1964 г. 1964 г.
Chevrolet El Camino 4.6 3Synchromesh 3MT Pickup 3MT 195 л.с. 1965 г. 1965 г.
Chevrolet El Camino 4.6 3Synchromesh 3MT Pickup 3MT 220 л.с. 1965 г. 1965 г.
Chevrolet El Camino 4.6 3Synchromesh 3MT Pickup 3MT 195 л.с. 1966 г. 1966 г.
Chevrolet El Camino 4.6 3Synchromesh 3MT Pickup 3MT 220 л.с. 1966 г. 1966 г.
Chevrolet El Camino 4.6 3Synchromesh 3MT Pickup 3MT 195 л.с. 1967 г. 1967 г.
Chevrolet El Camino 4.6 3Synchromesh 4400 3MT Pickup 3MT 185 л.с. 1959 г. 1959 г.
Chevrolet El Camino 4.6 3Synchromesh 4400 3MT Pickup 3MT 230 л.с. 1959 г. 1959 г.
Chevrolet El Camino 4.6 4Synchromesh 4400 4MT Pickup 4MT 185 л.с. 1959 г. 1959 г.
Chevrolet El Camino 4.6 4Synchromesh 4400 4MT Pickup 4MT 230 л.с. 1959 г. 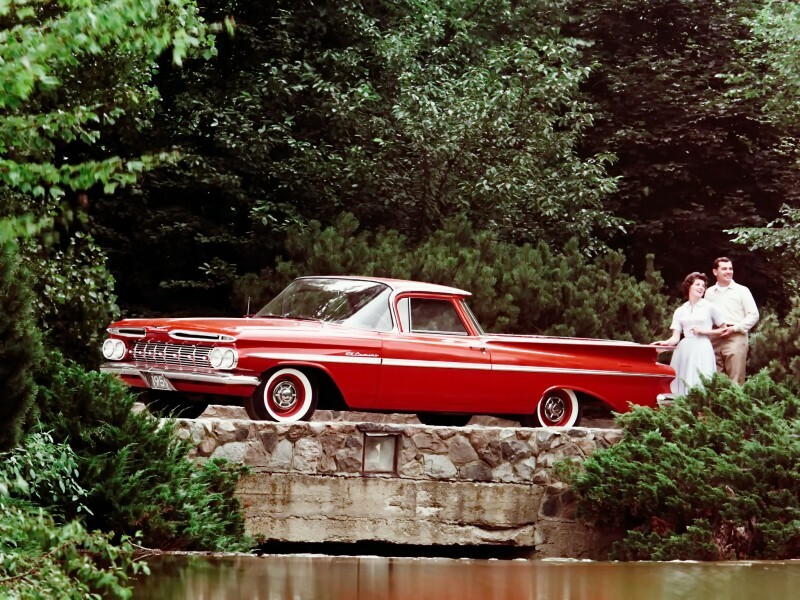 1959 г.
Chevrolet El Camino 4.6 4Synchromesh 4MT Pickup 4MT 195 л.с. 1964 г. 1964 г.
Chevrolet El Camino 4.6 4Synchromesh 4MT Pickup 4MT 220 л.с. 1964 г. 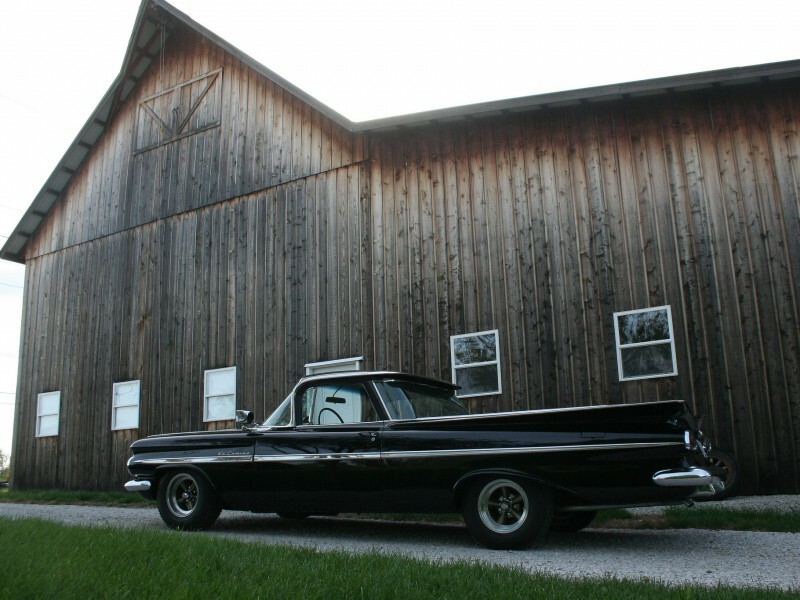 1964 г.
Chevrolet El Camino 4.6 4Synchromesh 4MT Pickup 4MT 195 л.с. 1965 г. 1965 г.
Chevrolet El Camino 4.6 4Synchromesh 4MT Pickup 4MT 220 л.с. 1965 г. 1965 г.
Chevrolet El Camino 4.6 4Synchromesh 4MT Pickup 4MT 195 л.с. 1966 г. 1966 г.
Chevrolet El Camino 4.6 4Synchromesh 4MT Pickup 4MT 220 л.с. 1966 г. 1966 г.
Chevrolet El Camino 4.6 4Synchromesh 4MT Pickup 4MT 195 л.с. 1967 г. 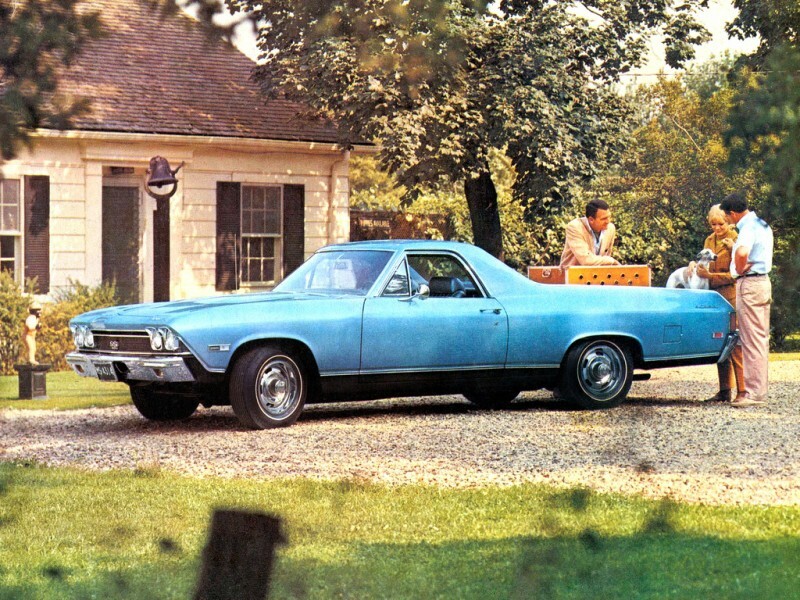 1967 г.
Chevrolet El Camino 4.6 Powerglide 2AT Pickup 2AT 195 л.с. 1964 г. 1964 г.
Chevrolet El Camino 4.6 Powerglide 2AT Pickup 2AT 220 л.с. 1964 г. 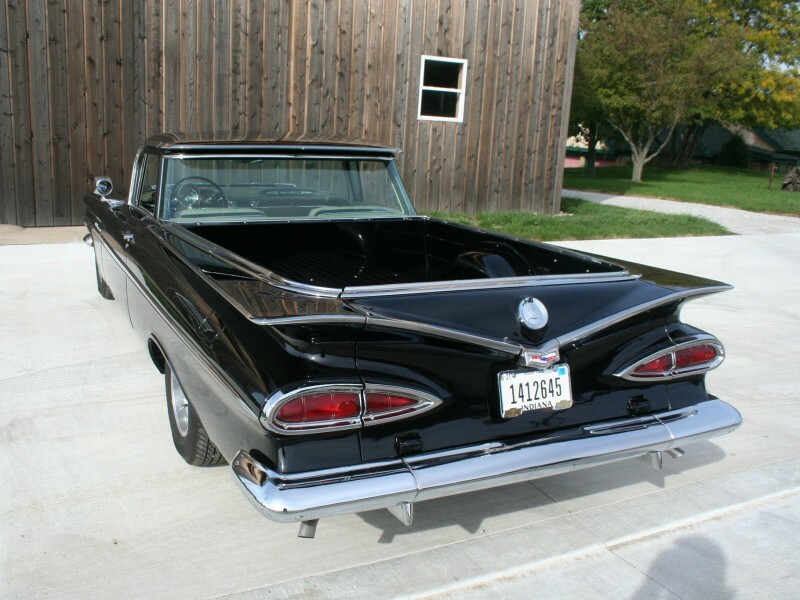 1964 г.
Chevrolet El Camino 4.6 Powerglide 2AT Pickup 2AT 195 л.с. 1965 г. 1965 г.
Chevrolet El Camino 4.6 Powerglide 2AT Pickup 2AT 220 л.с. 1965 г. 1965 г.
Chevrolet El Camino 4.6 Powerglide 2AT Pickup 2AT 195 л.с. 1966 г. 1966 г.
Chevrolet El Camino 4.6 Powerglide 2AT Pickup 2AT 220 л.с. 1966 г. 1966 г.
Chevrolet El Camino 4.6 Powerglide 2AT Pickup 2AT 195 л.с. 1967 г. 1967 г.
Chevrolet El Camino 4.6 Powerglide 4400 2AT Pickup 2AT 185 л.с. 1959 г. 1959 г.
Chevrolet El Camino 4.6 Powerglide 4400 2AT Pickup 2AT 230 л.с. 1959 г. 1959 г.
Chevrolet El Camino 4.6 Powerglide 4400 2AT Pickup 2AT 170 л.с. 1960 г. 1960 г.
Chevrolet El Camino 4.6 Powerglide 4400 2AT Pickup 2AT 230 л.с. 1960 г. 1960 г.
Chevrolet El Camino 4.6 Synchromesh 4400 3MT Pickup 3MT 170 л.с. 1960 г. 1960 г.
Chevrolet El Camino 4.6 Synchromesh 4400 3MT Pickup 3MT 230 л.с. 1960 г. 1960 г.
Chevrolet El Camino 4.6 Synchromesh Overdrive 4400 4MT Pickup 4MT 170 л.с. 1960 г. 1960 г.
Chevrolet El Camino 4.6 Synchromesh Overdrive 4400 4MT Pickup 4MT 230 л.с. 1960 г. 1960 г.
Chevrolet El Camino 4.6 Turboglide 4400 3AT Pickup 3AT 185 л.с. 1959 г. 1959 г.
Chevrolet El Camino 4.6 Turboglide 4400 3AT Pickup 3AT 230 л.с. 1959 г. 1959 г.
Chevrolet El Camino 4.6 Turboglide 4400 3AT Pickup 3AT 170 л.с. 1960 г. 1960 г.
Chevrolet El Camino 4.6 Turboglide 4400 3AT Pickup 3AT 230 л.с. 1960 г. 1960 г.
Chevrolet El Camino 5.0 3Synchromesh 3MT Pickup 3MT 200 л.с. 1968 г. 1968 г.
Chevrolet El Camino 5.0 3Synchromesh 3MT Pickup 3MT 200 л.с. 1969 г. 1969 г.
Chevrolet El Camino 5.0 3Synchromesh 3MT Pickup 3MT 200 л.с. 1970 г. 1970 г.
Chevrolet El Camino 5.0 4Synchromesh 4MT Pickup 4MT 200 л.с. 1968 г. 1968 г.
Chevrolet El Camino 5.0 4Synchromesh 4MT Pickup 4MT 200 л.с. 1969 г. 1969 г.
Chevrolet El Camino 5.0 4Synchromesh 4MT Pickup 4MT 200 л.с. 1970 г. 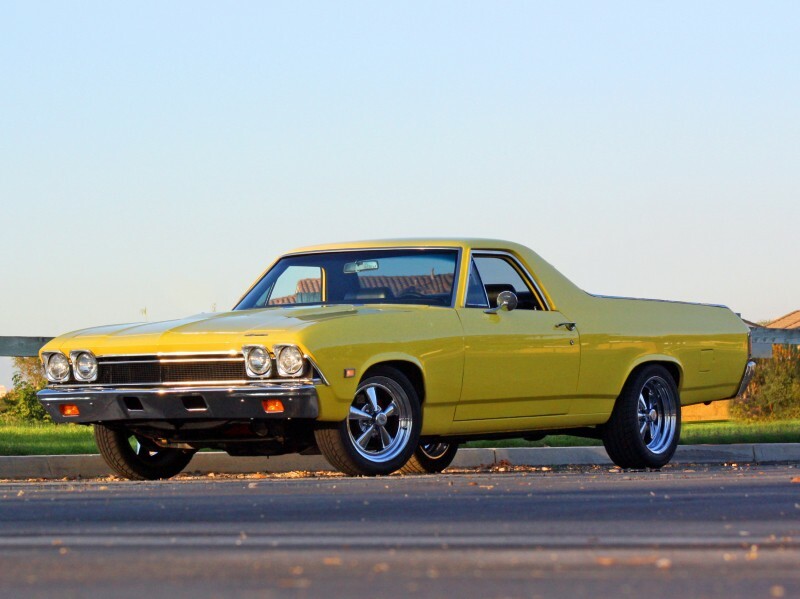 1970 г.
Chevrolet El Camino 5.0 AT 3AT Pickup 3AT 135 л.с. 1978 г. 1978 г.
Chevrolet El Camino 5.0 AT 3AT Pickup 3AT 145 л.с. 1978 г. 1978 г.
Chevrolet El Camino 5.0 AT 3AT Pickup 3AT 155 л.с. 1979 г. 1979 г.
Chevrolet El Camino 5.0 AT 3AT Pickup 3AT 160 л.с. 1979 г. 1979 г.
Chevrolet El Camino 5.0 AT 3AT Pickup 3AT 155 л.с. 1980 г. 1980 г.
Chevrolet El Camino 5.0 AT 3AT Pickup 3AT 145 л.с. 1981 г. 1981 г.
Chevrolet El Camino 5.0 AT 3AT Pickup 3AT 145 л.с. 1982 г. 1982 г.
Chevrolet El Camino 5.0 AT 3AT Pickup 3AT 150 л.с. 1983 г. 1984 г.
Chevrolet El Camino 5.0 AT 3AT Pickup 3AT 150 л.с. 1985 г. 1987 г.
Chevrolet El Camino 5.0 MT 3MT Pickup 3MT 130 л.с. 1972 г. 1972 г.
Chevrolet El Camino 5.0 MT 3MT Pickup 3MT 115 л.с. 1973 г. 1973 г.
Chevrolet El Camino 5.0 MT 4MT Pickup 4MT 135 л.с. 1978 г. 1978 г.
Chevrolet El Camino 5.0 MT 4MT Pickup 4MT 145 л.с. 1978 г. 1978 г.
Chevrolet El Camino 5.0 MT 4MT Pickup 4MT 155 л.с. 1979 г. 1979 г.
Chevrolet El Camino 5.0 MT 4MT Pickup 4MT 160 л.с. 1979 г. 1979 г.
Chevrolet El Camino 5.0 MT 4MT Pickup 4MT 155 л.с. 1980 г. 1980 г.
Chevrolet El Camino 5.0 MT 4MT Pickup 4MT 145 л.с. 1981 г. 1981 г.
Chevrolet El Camino 5.0 Powerglide 2AT Pickup 2AT 200 л.с. 1968 г. 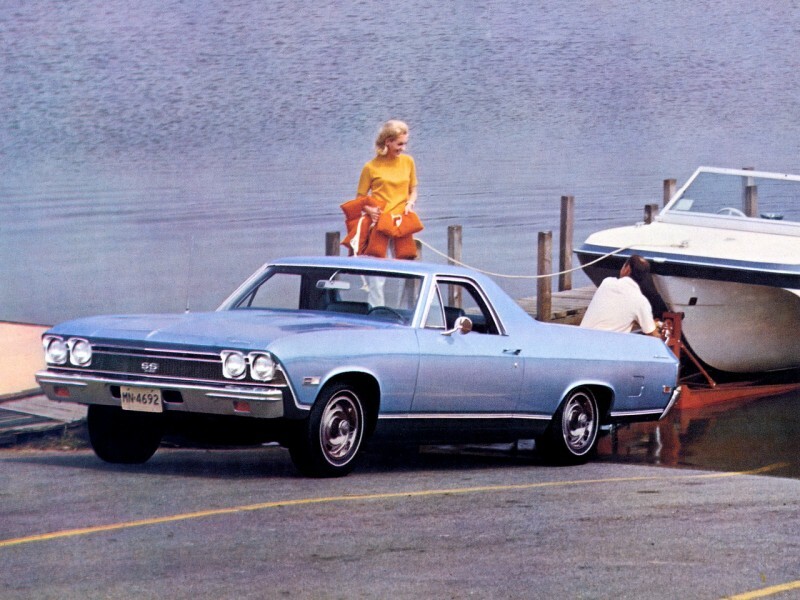 1968 г.
Chevrolet El Camino 5.0 Powerglide 2AT Pickup 2AT 200 л.с. 1969 г. 1969 г.
Chevrolet El Camino 5.0 Powerglide 2AT Pickup 2AT 200 л.с. 1970 г. 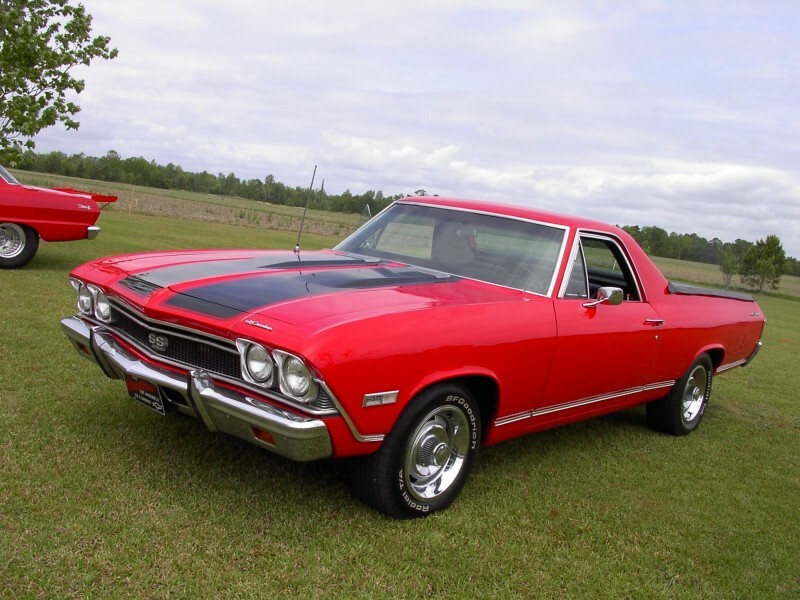 1970 г.
Chevrolet El Camino 5.0 Powerglide 2AT Pickup 2AT 200 л.с. 1971 г. 1971 г.
Chevrolet El Camino 5.0 Powerglide 2AT Pickup 2AT 130 л.с. 1972 г. 1972 г.
Chevrolet El Camino 5.0 Synchromesh 3MT Pickup 3MT 200 л.с. 1971 г. 1971 г.
Chevrolet El Camino 5.0 Turbo Hydra-Matic 3AT Pickup 3AT 200 л.с. 1969 г. 1969 г.
Chevrolet El Camino 5.0 Turbo Hydra-Matic 3AT Pickup 3AT 200 л.с. 1970 г. 1970 г.
Chevrolet El Camino 5.0 Turbo Hydra-Matic 3AT Pickup 3AT 200 л.с. 1971 г. 1971 г.
Chevrolet El Camino 5.0 Turbo Hydra-Matic 3AT Pickup 3AT 130 л.с. 1972 г. 1972 г.
Chevrolet El Camino 5.0 Turbo Hydra-Matic 3AT Pickup 3AT 115 л.с. 1973 г. 1973 г.
Chevrolet El Camino 5.0 Turbo Hydra-Matic 3AT Pickup 3AT 140 л.с. 1976 г. 1976 г.
Chevrolet El Camino 5.0 Turbo Hydra-Matic 3AT Pickup 3AT 145 л.с. 1977 г. 1977 г.
Chevrolet El Camino 5.4 3Synchromesh 3MT Pickup 3MT 250 л.с. 1964 г. 1964 г.
Chevrolet El Camino 5.4 3Synchromesh 3MT Pickup 3MT 250 л.с. 1965 г. 1965 г.
Chevrolet El Camino 5.4 3Synchromesh 3MT Pickup 3MT 300 л.с. 1965 г. 1965 г.
Chevrolet El Camino 5.4 3Synchromesh 3MT Pickup 3MT 350 л.с. 1965 г. 1965 г.
Chevrolet El Camino 5.4 3Synchromesh 3MT Pickup 3MT 275 л.с. 1966 г. 1966 г.
Chevrolet El Camino 5.4 3Synchromesh 3MT Pickup 3MT 275 л.с. 1967 г. 1967 г.
Chevrolet El Camino 5.4 3Synchromesh 3MT Pickup 3MT 250 л.с. 1968 г. 1968 г.
Chevrolet El Camino 5.4 3Synchromesh 3MT Pickup 3MT 275 л.с. 1968 г. 1968 г.
Chevrolet El Camino 5.4 4Synchromesh 4MT Pickup 4MT 250 л.с. 1964 г. 1964 г.
Chevrolet El Camino 5.4 4Synchromesh 4MT Pickup 4MT 250 л.с. 1965 г. 1965 г.
Chevrolet El Camino 5.4 4Synchromesh 4MT Pickup 4MT 300 л.с. 1965 г. 1965 г.
Chevrolet El Camino 5.4 4Synchromesh 4MT Pickup 4MT 350 л.с. 1965 г. 1965 г.
Chevrolet El Camino 5.4 4Synchromesh 4MT Pickup 4MT 275 л.с. 1966 г. 1966 г.
Chevrolet El Camino 5.4 4Synchromesh 4MT Pickup 4MT 275 л.с. 1967 г. 1967 г.
Chevrolet El Camino 5.4 4Synchromesh 4MT Pickup 4MT 250 л.с. 1968 г. 1968 г.
Chevrolet El Camino 5.4 4Synchromesh 4MT Pickup 4MT 275 л.с. 1968 г. 1968 г.
Chevrolet El Camino 5.4 Powerglide 2AT Pickup 2AT 250 л.с. 1964 г. 1964 г.
Chevrolet El Camino 5.4 Powerglide 2AT Pickup 2AT 300 л.с. 1964 г. 1964 г.
Chevrolet El Camino 5.4 Powerglide 2AT Pickup 2AT 250 л.с. 1965 г. 1965 г.
Chevrolet El Camino 5.4 Powerglide 2AT Pickup 2AT 300 л.с. 1965 г. 1965 г.
Chevrolet El Camino 5.4 Powerglide 2AT Pickup 2AT 275 л.с. 1966 г. 1966 г.
Chevrolet El Camino 5.4 Powerglide 2AT Pickup 2AT 275 л.с. 1967 г. 1967 г.
Chevrolet El Camino 5.4 Powerglide 2AT Pickup 2AT 250 л.с. 1968 г. 1968 г.
Chevrolet El Camino 5.4 Powerglide 2AT Pickup 2AT 275 л.с. 1968 г. 1968 г.
Chevrolet El Camino 5.4 Synchromesh 4MT Pickup 4MT 300 л.с. 1964 г. 1964 г.
Chevrolet El Camino 5.4 Synchromesh 4MT Pickup 4MT 365 л.с. 1964 г. 1964 г.
Chevrolet El Camino 5.4 Synchromesh 4MT Pickup 4MT 325 л.с. 1967 г. 1967 г.
Chevrolet El Camino 5.4 Synchromesh 4MT Pickup 4MT 325 л.с. 1968 г. 1968 г.
Chevrolet El Camino 5.4 Synchromesh HD 3MT Pickup 3MT 325 л.с. 1967 г. 1967 г.
Chevrolet El Camino 5.4 Synchromesh HD 3MT Pickup 3MT 325 л.с. 1968 г. 1968 г.
Chevrolet El Camino 5.7 3MT 3MT Pickup 3MT 165 л.с. 1972 г. 1972 г.
Chevrolet El Camino 5.7 3MT 3MT Pickup 3MT 175 л.с. 1972 г. 1972 г.
Chevrolet El Camino 5.7 3Synchromesh 3MT Pickup 3MT 255 л.с. 1969 г. 1969 г.
Chevrolet El Camino 5.7 3Synchromesh 3MT Pickup 3MT 250 л.с. 1970 г. 1970 г.
Chevrolet El Camino 5.7 3Synchromesh 3MT Pickup 3MT 270 л.с. 1971 г. 1971 г.
Chevrolet El Camino 5.7 3Synchromesh 4400 3MT Pickup 3MT 250 л.с. 1959 г. 1959 г.
Chevrolet El Camino 5.7 3Synchromesh 4400 3MT Pickup 3MT 280 л.с. 1959 г. 1959 г.
Chevrolet El Camino 5.7 3Synchromesh 4400 3MT Pickup 3MT 305 л.с. 1959 г. 1959 г.
Chevrolet El Camino 5.7 3Synchromesh 4400 3MT Pickup 3MT 335 л.с. 1959 г. 1959 г.
Chevrolet El Camino 5.7 3Synchromesh 4400 3MT Pickup 3MT 280 л.с. 1960 г. 1960 г.
Chevrolet El Camino 5.7 3Synchromesh 4400 3MT Pickup 3MT 355 л.с. 1960 г. 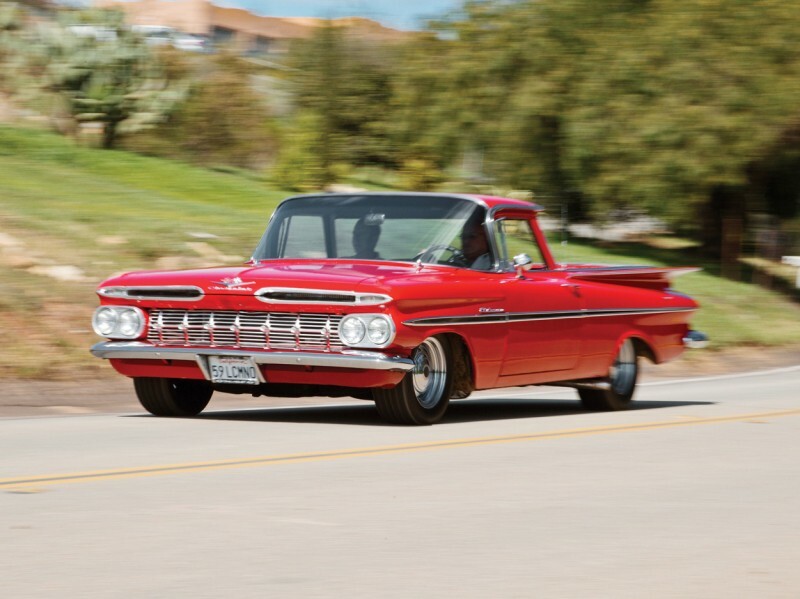 1960 г.
Chevrolet El Camino 5.7 4MT 4MT Pickup 4MT 165 л.с. 1972 г. 1972 г.
Chevrolet El Camino 5.7 4MT 4MT Pickup 4MT 175 л.с. 1972 г. 1972 г.
Chevrolet El Camino 5.7 4Synchromesh 4400 4MT Pickup 4MT 250 л.с. 1959 г. 1959 г.
Chevrolet El Camino 5.7 4Synchromesh 4400 4MT Pickup 4MT 280 л.с. 1959 г. 1959 г.
Chevrolet El Camino 5.7 4Synchromesh 4400 4MT Pickup 4MT 305 л.с. 1959 г. 1959 г.
Chevrolet El Camino 5.7 4Synchromesh 4400 4MT Pickup 4MT 335 л.с. 1959 г. 1959 г.
Chevrolet El Camino 5.7 4Synchromesh 4400 4MT Pickup 4MT 280 л.с. 1960 г. 1960 г.
Chevrolet El Camino 5.7 4Synchromesh 4400 4MT Pickup 4MT 355 л.с. 1960 г. 1960 г.
Chevrolet El Camino 5.7 4Synchromesh 4MT Pickup 4MT 255 л.с. 1969 г. 1969 г.
Chevrolet El Camino 5.7 4Synchromesh 4MT Pickup 4MT 250 л.с. 1970 г. 1970 г.
Chevrolet El Camino 5.7 4Synchromesh 4MT Pickup 4MT 270 л.с. 1971 г. 1971 г.
Chevrolet El Camino 5.7 AT 3AT Pickup 3AT 160 л.с. 1978 г. 1978 г.
Chevrolet El Camino 5.7 AT 3AT Pickup 3AT 170 л.с. 1978 г. 1978 г.
Chevrolet El Camino 5.7 AT 3AT Pickup 3AT 165 л.с. 1979 г. 1979 г.
Chevrolet El Camino 5.7 D AT 3AT Pickup 3AT 105 л.с. 1983 г. 1984 г.
Chevrolet El Camino 5.7 MT 3MT Pickup 3MT 145 л.с. 1973 г. 1973 г.
Chevrolet El Camino 5.7 MT 3MT Pickup 3MT 145 л.с. 1974 г. 1974 г.
Chevrolet El Camino 5.7 MT 3MT Pickup 3MT 160 л.с. 1974 г. 1974 г.
Chevrolet El Camino 5.7 MT 4MT Pickup 4MT 175 л.с. 1973 г. 1973 г.
Chevrolet El Camino 5.7 MT 4MT Pickup 4MT 160 л.с. 1978 г. 1978 г.
Chevrolet El Camino 5.7 MT 4MT Pickup 4MT 170 л.с. 1978 г. 1978 г.
Chevrolet El Camino 5.7 Powerglide 2AT Pickup 2AT 255 л.с. 1969 г. 1969 г.
Chevrolet El Camino 5.7 Powerglide 2AT Pickup 2AT 250 л.с. 1970 г. 1970 г.
Chevrolet El Camino 5.7 Powerglide 2AT Pickup 2AT 300 л.с. 1970 г. 1970 г.
Chevrolet El Camino 5.7 Powerglide 4400 2AT Pickup 2AT 250 л.с. 1959 г. 1959 г.
Chevrolet El Camino 5.7 Powerglide 4400 2AT Pickup 2AT 280 л.с. 1959 г. 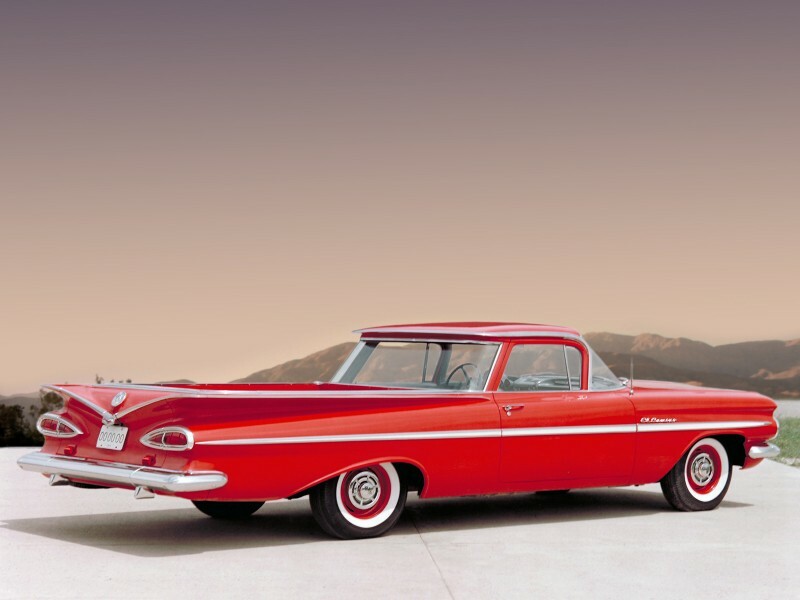 1959 г.
Chevrolet El Camino 5.7 Powerglide 4400 2AT Pickup 2AT 305 л.с. 1959 г. 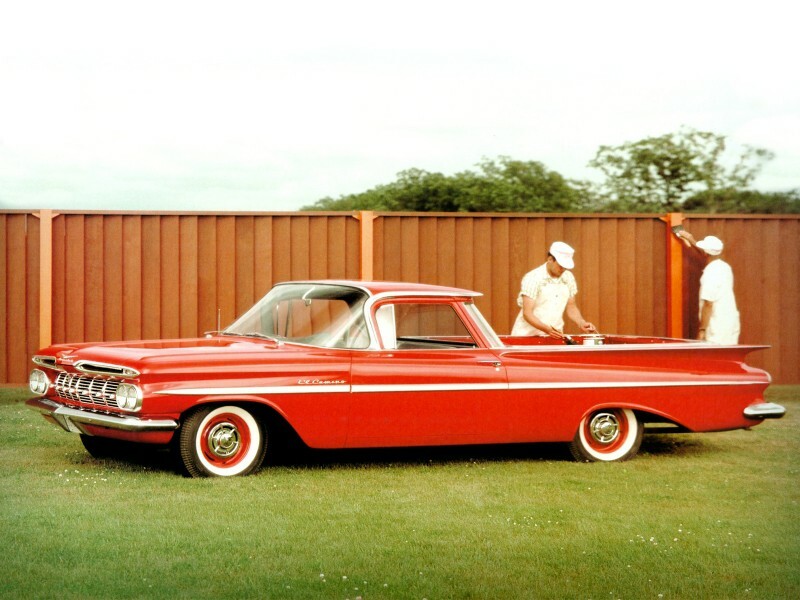 1959 г.
Chevrolet El Camino 5.7 Powerglide 4400 2AT Pickup 2AT 335 л.с. 1959 г. 1959 г.
Chevrolet El Camino 5.7 Powerglide 4400 2AT Pickup 2AT 250 л.с. 1960 г. 1960 г.
Chevrolet El Camino 5.7 Powerglide 4400 2AT Pickup 2AT 280 л.с. 1960 г. 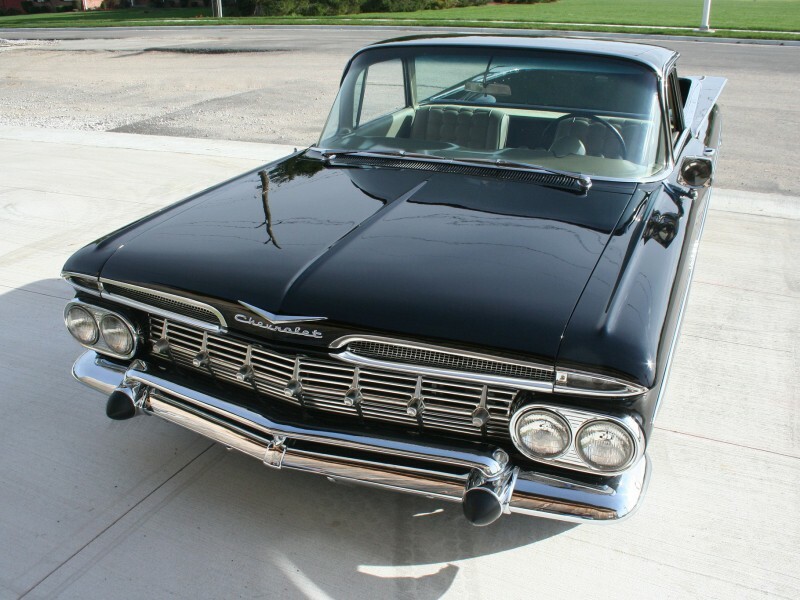 1960 г.
Chevrolet El Camino 5.7 Powerglide HD 4400 2AT Pickup 2AT 305 л.с. 1960 г. 1960 г.
Chevrolet El Camino 5.7 Synchromesh 4400 3MT Pickup 3MT 250 л.с. 1960 г. 1960 г.
Chevrolet El Camino 5.7 Synchromesh 4400 3MT Pickup 3MT 320 л.с. 1960 г. 1960 г.
Chevrolet El Camino 5.7 Synchromesh 4MT Pickup 4MT 300 л.с. 1969 г. 1969 г.
Chevrolet El Camino 5.7 Synchromesh 4MT Pickup 4MT 300 л.с. 1970 г. 1970 г.
Chevrolet El Camino 5.7 Synchromesh 4MT Pickup 4MT 245 л.с. 1971 г. 1971 г.
Chevrolet El Camino 5.7 Synchromesh HD 3MT Pickup 3MT 300 л.с. 1969 г. 1969 г.
Chevrolet El Camino 5.7 Synchromesh Overdrive 4400 4MT Pickup 4MT 250 л.с. 1960 г. 1960 г.
Chevrolet El Camino 5.7 Turbo Hydra-Matic 3AT Pickup 3AT 255 л.с. 1969 г. 1969 г.
Chevrolet El Camino 5.7 Turbo Hydra-Matic 3AT Pickup 3AT 300 л.с. 1969 г. 1969 г.
Chevrolet El Camino 5.7 Turbo Hydra-Matic 3AT Pickup 3AT 250 л.с. 1970 г. 1970 г.
Chevrolet El Camino 5.7 Turbo Hydra-Matic 3AT Pickup 3AT 300 л.с. 1970 г. 1970 г.
Chevrolet El Camino 5.7 Turbo Hydra-Matic 3AT Pickup 3AT 245 л.с. 1971 г. 1971 г.
Chevrolet El Camino 5.7 Turbo Hydra-Matic 3AT Pickup 3AT 270 л.с. 1971 г. 1971 г.
Chevrolet El Camino 5.7 Turbo Hydra-Matic 3AT Pickup 3AT 165 л.с. 1972 г. 1972 г.
Chevrolet El Camino 5.7 Turbo Hydra-Matic 3AT Pickup 3AT 175 л.с. 1972 г. 1972 г.
Chevrolet El Camino 5.7 Turbo Hydra-Matic 3AT Pickup 3AT 145 л.с. 1973 г. 1973 г.
Chevrolet El Camino 5.7 Turbo Hydra-Matic 3AT Pickup 3AT 175 л.с. 1973 г. 1973 г.
Chevrolet El Camino 5.7 Turbo Hydra-Matic 3AT Pickup 3AT 145 л.с. 1974 г. 1974 г.
Chevrolet El Camino 5.7 Turbo Hydra-Matic 3AT Pickup 3AT 160 л.с. 1974 г. 1974 г.
Chevrolet El Camino 5.7 Turbo Hydra-Matic 3AT Pickup 3AT 145 л.с. 1976 г. 1976 г.
Chevrolet El Camino 5.7 Turbo Hydra-Matic 3AT Pickup 3AT 165 л.с. 1976 г. 1976 г.
Chevrolet El Camino 5.7 Turbo Hydra-Matic 3AT Pickup 3AT 160 л.с. 1977 г. 1977 г.
Chevrolet El Camino 5.7 Turbo Hydra-Matic 3AT Pickup 3AT 170 л.с. 1977 г. 1977 г.
Chevrolet El Camino 5.7 Turboglide 4400 3AT Pickup 3AT 250 л.с. 1959 г. 1959 г.
Chevrolet El Camino 5.7 Turboglide 4400 3AT Pickup 3AT 280 л.с. 1959 г. 1959 г.
Chevrolet El Camino 5.7 Turboglide 4400 3AT Pickup 3AT 305 л.с. 1959 г. 1959 г.
Chevrolet El Camino 5.7 Turboglide 4400 3AT Pickup 3AT 335 л.с. 1959 г. 1959 г.
Chevrolet El Camino 5.7 Turboglide 4400 3AT Pickup 3AT 250 л.с. 1960 г. 1960 г.
Chevrolet El Camino 5.7 Turboglide 4400 3AT Pickup 3AT 280 л.с. 1960 г. 1960 г.
Chevrolet El Camino 6.5 Powerglide 2AT Pickup 2AT 325 л.с. 1966 г. 1966 г.
Chevrolet El Camino 6.5 Powerglide 2AT Pickup 2AT 360 л.с. 1966 г. 1966 г.
Chevrolet El Camino 6.5 Powerglide 2AT Pickup 2AT 325 л.с. 1967 г. 1967 г.
Chevrolet El Camino 6.5 Powerglide 2AT Pickup 2AT 350 л.с. 1967 г. 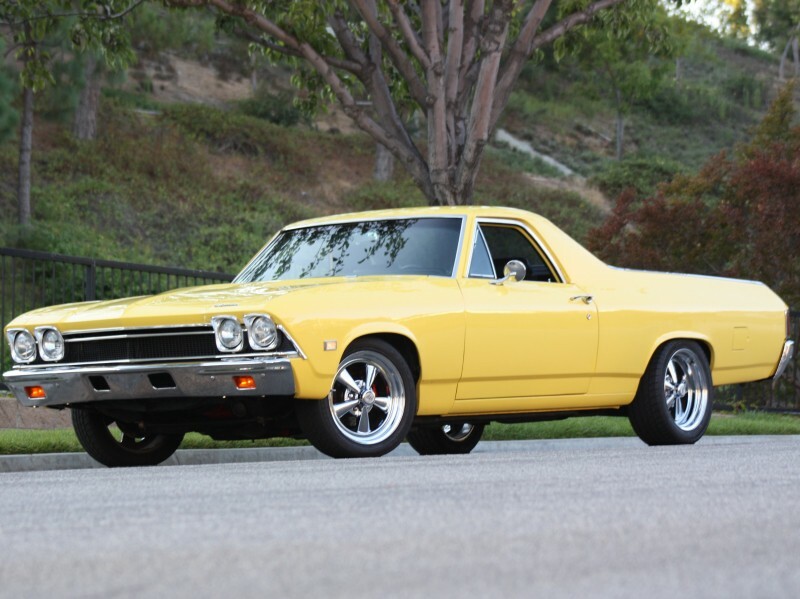 1967 г.
Chevrolet El Camino 6.5 Powerglide 2AT Pickup 2AT 325 л.с. 1968 г. 1968 г.
Chevrolet El Camino 6.5 Powerglide 2AT Pickup 2AT 350 л.с. 1968 г. 1968 г.
Chevrolet El Camino 6.5 Synchromesh 4MT Pickup 4MT 325 л.с. 1966 г. 1966 г.
Chevrolet El Camino 6.5 Synchromesh 4MT Pickup 4MT 360 л.с. 1966 г. 1966 г.
Chevrolet El Camino 6.5 Synchromesh 4MT Pickup 4MT 325 л.с. 1967 г. 1967 г.
Chevrolet El Camino 6.5 Synchromesh 4MT Pickup 4MT 350 л.с. 1967 г. 1967 г.
Chevrolet El Camino 6.5 Synchromesh 4MT Pickup 4MT 325 л.с. 1968 г. 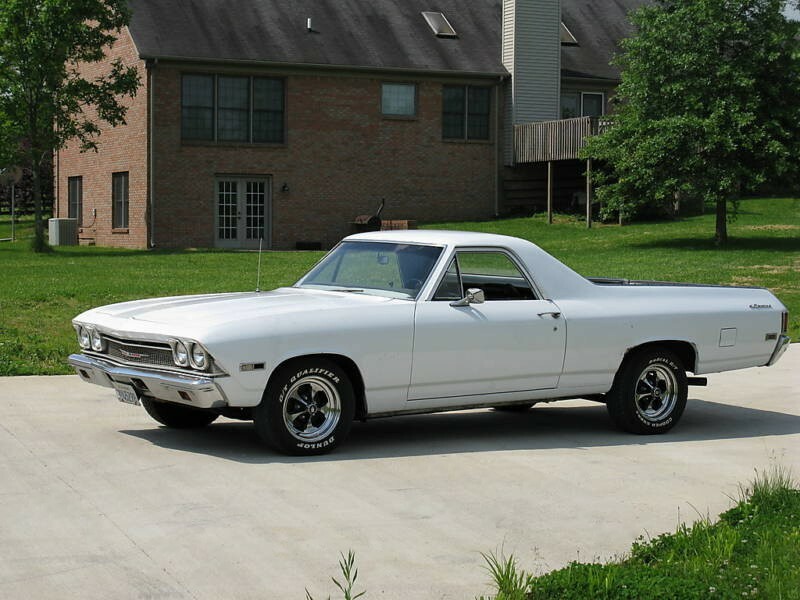 1968 г.
Chevrolet El Camino 6.5 Synchromesh 4MT Pickup 4MT 350 л.с. 1968 г. 1968 г.
Chevrolet El Camino 6.5 Synchromesh 4MT Pickup 4MT 325 л.с. 1969 г. 1969 г.
Chevrolet El Camino 6.5 Synchromesh 4MT Pickup 4MT 350 л.с. 1969 г. 1969 г.
Chevrolet El Camino 6.5 Synchromesh HD 3MT Pickup 3MT 325 л.с. 1966 г. 1966 г.
Chevrolet El Camino 6.5 Synchromesh HD 3MT Pickup 3MT 360 л.с. 1966 г. 1966 г.
Chevrolet El Camino 6.5 Synchromesh HD 3MT Pickup 3MT 325 л.с. 1967 г. 1967 г.
Chevrolet El Camino 6.5 Synchromesh HD 3MT Pickup 3MT 350 л.с. 1967 г. 1967 г.
Chevrolet El Camino 6.5 Synchromesh HD 3MT Pickup 3MT 325 л.с. 1968 г. 1968 г.
Chevrolet El Camino 6.5 Synchromesh HD 3MT Pickup 3MT 350 л.с. 1968 г. 1968 г.
Chevrolet El Camino 6.5 Synchromesh HD 3MT Pickup 3MT 325 л.с. 1969 г. 1969 г.
Chevrolet El Camino 6.5 Synchromesh HD 3MT Pickup 3MT 350 л.с. 1969 г. 1969 г.
Chevrolet El Camino 6.5 Turbo Hydra-Matic 3AT Pickup 3AT 325 л.с. 1967 г. 1967 г.
Chevrolet El Camino 6.5 Turbo Hydra-Matic 3AT Pickup 3AT 350 л.с. 1967 г. 1967 г.
Chevrolet El Camino 6.5 Turbo Hydra-Matic 3AT Pickup 3AT 325 л.с. 1968 г. 1968 г.
Chevrolet El Camino 6.5 Turbo Hydra-Matic 3AT Pickup 3AT 350 л.с. 1968 г. 1968 г.
Chevrolet El Camino 6.5 Turbo Hydra-Matic 3AT Pickup 3AT 325 л.с. 1969 г. 1969 г.
Chevrolet El Camino 6.5 Turbo Hydra-Matic 3AT Pickup 3AT 350 л.с. 1969 г. 1969 г.
Chevrolet El Camino 6.6 MT 4MT Pickup 4MT 240 л.с. 1972 г. 1972 г.
Chevrolet El Camino 6.6 MT HD 3MT Pickup 3MT 240 л.с. 1972 г. 1972 г.
Chevrolet El Camino 6.6 Synchromesh 4MT Pickup 4MT 330 л.с. 1970 г. 1970 г.
Chevrolet El Camino 6.6 Synchromesh 4MT Pickup 4MT 350 л.с. 1970 г. 1970 г.
Chevrolet El Camino 6.6 Synchromesh 4MT Pickup 4MT 300 л.с. 1971 г. 1971 г.
Chevrolet El Camino 6.6 Synchromesh HD 3MT Pickup 3MT 300 л.с. 1971 г. 1971 г.
Chevrolet El Camino 6.6 Turbo Hydra-Matic 3AT Pickup 3AT 330 л.с. 1970 г. 1970 г.
Chevrolet El Camino 6.6 Turbo Hydra-Matic 3AT Pickup 3AT 350 л.с. 1970 г. 1970 г.
Chevrolet El Camino 6.6 Turbo Hydra-Matic 3AT Pickup 3AT 300 л.с. 1971 г. 1971 г.
Chevrolet El Camino 6.6 Turbo Hydra-Matic 3AT Pickup 3AT 240 л.с. 1972 г. 1972 г.
Chevrolet El Camino 6.6 Turbo Hydra-Matic 3AT Pickup 3AT 150 л.с. 1974 г. 1974 г.
Chevrolet El Camino 6.6 Turbo Hydra-Matic 3AT Pickup 3AT 180 л.с. 1974 г. 1974 г.
Chevrolet El Camino 6.6 Turbo Hydra-Matic 3AT Pickup 3AT 175 л.с. 1976 г. 1976 г.
Chevrolet El Camino 7.4 MT 4MT Pickup 4MT 245 л.с. 1973 г. 1973 г.
Chevrolet El Camino 7.4 MT 4MT Pickup 4MT 235 л.с. 1974 г. 1974 г.
Chevrolet El Camino 7.4 MT HD 4MT Pickup 4MT 270 л.с. 1972 г. 1972 г.
Chevrolet El Camino 7.4 Synchromesh HD 4MT Pickup 4MT 360 л.с. 1970 г. 1970 г.
Chevrolet El Camino 7.4 Synchromesh HD 4MT Pickup 4MT 365 л.с. 1971 г. 1971 г.
Chevrolet El Camino 7.4 Synchromesh HD 4MT Pickup 4MT 425 л.с. 1971 г. 1971 г.
Chevrolet El Camino 7.4 Turbo Hydra-Matic 3AT Pickup 3AT 360 л.с. 1970 г. 1970 г.
Chevrolet El Camino 7.4 Turbo Hydra-Matic 3AT Pickup 3AT 365 л.с. 1971 г. 1971 г.
Chevrolet El Camino 7.4 Turbo Hydra-Matic 3AT Pickup 3AT 425 л.с. 1971 г. 1971 г.
Chevrolet El Camino 7.4 Turbo Hydra-Matic 3AT Pickup 3AT 270 л.с. 1972 г. 1972 г.
Chevrolet El Camino 7.4 Turbo Hydra-Matic 3AT Pickup 3AT 245 л.с. 1973 г. 1973 г.
Chevrolet El Camino 7.4 Turbo Hydra-Matic 3AT Pickup 3AT 235 л.с. 1974 г. 1974 г.